The final betrayal of Christ is seen when Judas dipped his unworthy hand into the chalice of Christ’s blood with a piece of the Bread of Life. This most audacious and outward betrayal of Judas Priest precipitated Christ’s most vehement condemnation in all of Sacred Scriptures: "Woe to the man by whom the Son of Man has been betrayed: it were better that he were not born." Then He said to Judas Iscariot: "Go and do what thou art about, quickly." This was, above all, the very first excommunication condemnation. 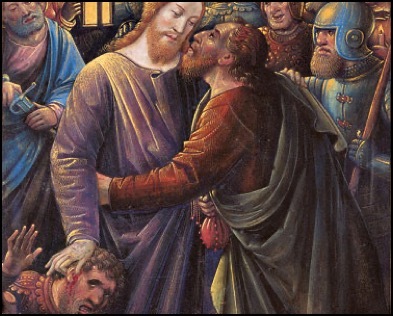 In short, Christ excommunicated Judas Iscariot from His very Presence. Secondly, Our Divine Lord uttered by His grave words what was then the very first anathema ever, with His ‘woe’ to Judas Priest: "Woe to the man by whom the Son of Man has been betrayed: it were better that he were not born." 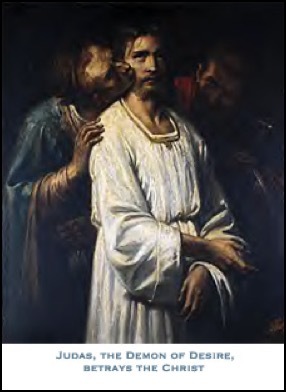 The naked turpitude of what Judas Priest was doing publicly, before the very eyes of His Divine Savior and the other eleven apostles, committing the sin of sacrilege by an unworthy communion, was forthright condemned by Our Lord for its wicked malevolence, the unworthy reception of Divine Innocence Itself while in the state of mortal sin. "THE VILE KISS OF JUDAS PRIEST, THE NOVUS ORDO AND COMMUNION IN THE HAND"
Nothing goes together so clearly as the philosophy of liberal Protestantism and the "Novus Ordo Missae" liturgy with communion in the hand. This is so very basic to any notion of false charity and how these two heretical views of Christianity share in their so-called worship of God. The betrayal of Christ by Judas Priest is threefold and the second tier of this disgraceful sacrilege, which we will consider now, is the missing presence of Judas Iscariot when all the rest of the apostles and Christ were deep in prayer in the Garden of Olives. This was the second biblically noted event in Judas Iscariot’s life: his absence from Christ’s side with the other apostles when Our Lord was so deep in the contemplation and prayers of His Passion, just before His Way of the Cross and Crucifixion. This again, was a remarkable event in the life of Judas Iscariot, this willful and voluntary absence from the side of Christ, His Savior, when Our Lord and Savior was deep in the prayers of His Passion. Liberal Catholicism like liberal Protestantism makes light of the Presence of Christ in its worship as did Judas Priest, the master of false charity and the devil’s coconspirator, most especially is this obvious in the liturgical innovation of communion in the hand and with it all the ignorance of disrespect, sacrilege, and irreverence that goes on virtually everywhere it is celebrated. It was just this same cold ignorance in the Presence of Our Divine Lord Himself that characterized Judas’ every action, for example his boldness of challenging the way Mary Magdalen had used up the precious nard, which cost so much money, to anoint Jesus before His Passion and Death. This aggravated Judas’ false charity for he complained that this precious nard, worth over 300 denarii, could have been better spent on the poor. However, Our Divine Lord so strongly countered: "the poor you will always have with you but you will not have Me always." of respect that Judas’ false charity wanted to show Christ by saving the precious nard for profit, or more selfishly for his own personal worldly wealth. It should be noted that St. John the Evangelist in Holy Scriptures also clarified this same point regarding Judas’ false charity in that he was treasurer for the apostles but he often stole from their money for the poor for himself. 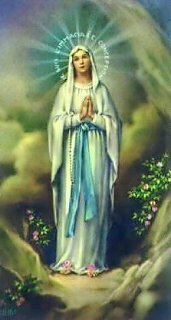 Thus the same theft goes on today, glaringly so, in the "Novus Ordo Missae" when all the examples of exterior piety, like Mary’s use of the precious nard on Our Lord’s feet, have been ignorantly eliminated from the "Novus Ordo Missae" i.e. patens used for serving communion, communion rails and communion cloths to protect the Sacred Species, genuflecting at communion time, un-ordained clergy distributing communion or extraordinary ministers of the Eucharist everywhere, removal of kneelers, tabernacles, and golden vesseled ciboria. 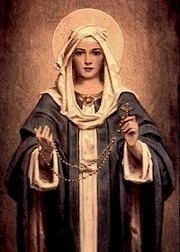 To cite these precious examples of exterior piety, created through centuries of orthodox Roman Catholicism and the reverential worship of God, as being archaic and superfluous is the very same as Judas priest’s adamancy in not wanting to exhibit the most reverential obeisance and care of Christ before His Passion and Death that Mary Magdalen wanted. 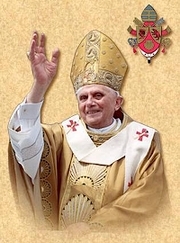 And Judas Priest’s attitude– to deny the very worship and reverence due Our Divine Lord, is the very essence of Liberal Protestantism, which is to say all Protestantism because it is to the left of Roman Catholicism, especially in all things liturgical. 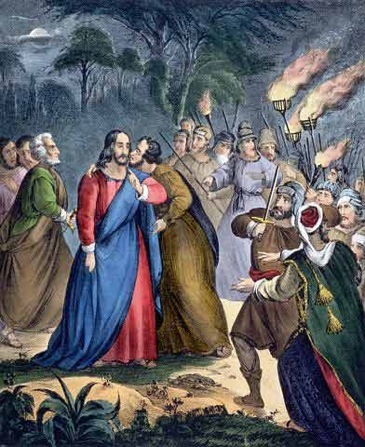 Nevertheless, this betrayal, whether within the Church or without, smacks of the same despicable insolence to Our Divine Lord and God that Judas Priest exhibited just before Our Lord’s Passion and Death. This attitude of diminishing the worship of God for which all men are obligated by the First Commandment, is the very nature of Liberal Protestantism with its liturgy-free worship and its rebellious "sola scriptura" or "scripture alone" is sufficient for salvation mentality. As a matter of fact, Protestantism is literally devoid of all exterior piety that the Catholic faith for centuries has prided itself upon in reverencing Our Divine Lord until, that is, the influx of the "Novus Ordo" and its watered down version of the liturgy and Mass. Walk into a "Novus Ordo Missae" Church and walk into a Protestant one after that and note the similarities in the absolute void of pious memorabilia: no kneelers, no altars, no crucifixes, no tabernacles, no Eucharistic Presence of Our Lord and God. No uplifting reminders of God’s Holy Presence can be found in either worship space: no stained glass windows, statues or pictures of saints–especially the Blessed Virgin Mary and St. Joseph–no pulpits, no stations of the Cross, no holy water fountains, and finally no vigil lights. Finally, one cannot forget the vanishing of the large red tabernacle vigil light, so gloriously indicative of Our Divine Lord’s dear Presence in the Eucharist, always missing in Protestant worship space but now, sadly, the fate of almost all "Novus Ordo Missae" Catholic Churches. 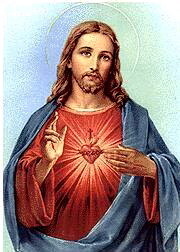 In light of this litany of seemingly endless disrespect and sacrilege can one any longer doubt the denial of Jesus Christ and His Divine Presence as being total and complete by the Judas Priests of the "Novus Ordo Missae" and communion in the hand along with its boon ally, Liberal Protestantism? 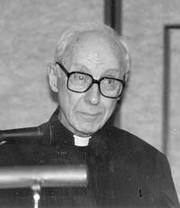 "Betrayal and Communion in the Hand and the Novus Ordo Missae"
In the past forty years with the reformed liturgy known as the “Novus Ordo Missae” (New Order of the Mass), nothing eclipses the endless abominations in the Temple of God like communion in the hand, an innovation promulgated by Pope Paul VI’s reign and magnified exponentially throughout the Church universal under Pope John Paul II. 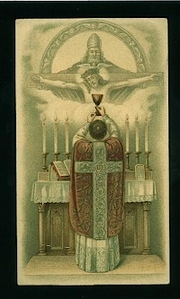 It is not an exaggeration to say this is the most widespread abuse of the “Novus Ordo Missae” or reformed liturgy of the Mass, for it has contributed everywhere it has been introduced to the exterior and interior collapse of personal piety and the reverence due to the Sacred Species and, nowhere is this more obvious, than in the rite of the “Novus Ordo Missae” itself. Moreover, here it is necessary to refer, particularly, to the very arrogance of human touch so presumptuously reaching out to touch what is so untouchable by human flesh, the Infinite Spirit of God. What can be more unimaginable and arrogant than to touch what is so utterly unapproachable by fallen human nature, the Infinite Perfection of the Godhead, and to reach out boldly with hands so soiled and impure from a lifetime of sinning for Infinite Purity Itself? For the profane to defile the Most Holy, for the mundane to belittle the Celestial or the finite to be arrogant before the Infinite is the worst form of detraction of the Glory of God because this sacrilege is perpetrated by creatures visibly more audacious than the rebellious angels themselves, since it has been effected by beings created not from pure spirit as the angels, but from mere dust-- and that makes the offense more hideous. 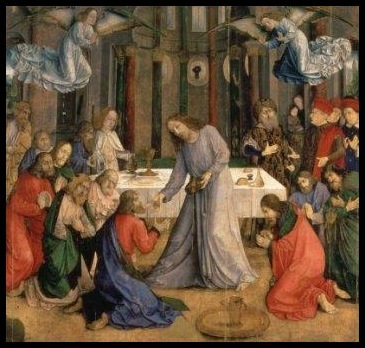 What is being advanced in the “Novus Ordo” reformed liturgy of communion in the hand is one of the most egregious attacks upon all Sacred Tradition in Catholic teaching, the liturgy, and the faith by everything the nether regions has to offer sinful human pride since the very foundation of Christendom itself in the Upper Room; for all the Catholic faith and its worship of God comes down to its belief and practice: its teachings, preachings and doctrine of the Most Holy Eucharist. 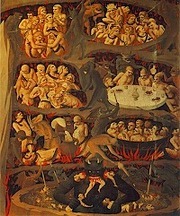 No ploy of Satan has been more effective and had more impact than utilizing human pride to achieve his nefarious ends and purposes since the fall of the angelic hosts, for this tactic likewise brought down our first parents in what was the second most precipitous fall in the war between the celestial realm and the infernal. It is this poisonous pride of self-worth that has manifested itself in a plethora of disguises of satanical false charity, most of which are extraordinarily subtle, seemingly transparent but, nevertheless, most lethal to souls. And where does this attack by Satan and his fallen angels strive for its greatest triumph than against the Most Holy Eucharist Itself. Some aspects of this false charity of self-esteem out-of-control may be more recognizable and overt in secular society today with the endless barrage of infernal enticements to the human ego for gratification of every capital sin, justifying by endless specious arguments why the human ego ought to be gratified with every kind of human lust be it gluttony of food or drink or sexual excess of every kind, a so-called right to vent one’s anger at one’s neighbor, reasons why one ought to receive a wage for doing absolutely nothing, and envious arguments aplenty why one ought to have more than one’s neighbor by inundating oneself with material possessions. All of these offenses, while serious enough against God from the perspective of self-adulation, pale in respect to Satan’s ultimate attack of false charity on the Church, the liturgy, and the Holy Eucharist in particular-- his most subtle and pernicious assault of them all. 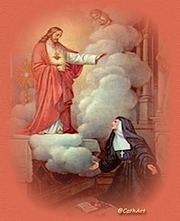 Love of self, self adulation, and self-esteem are the wicked tools of false charity used by Satan to attack reverence due the Holy Eucharist caused by the “Novus Ordo” innovation of communion in the hand, a veritable reversal of the traditional teaching of ‘holiness of demeanor and humility and unworthiness’ advocated by the Church for centuries in approaching the Holy Eucharist. 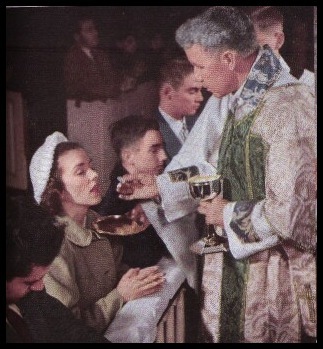 Nothing exhibits one’s love of Christ in the Eucharist more or less than one’s exterior piety and comportment towards this sacrament, especially in the very receiving of Our Divine Lord Himself. Because of the suppressed sense of one’s unworthiness and sinfulness in the “Novus Ordo Missae” as compared to the “Missa Latina Tridentina” (Tridentine Latin Mass) which is so evident even at first glance from the single streamlined “Confiteor” in the “Novus Ordo Missae” to the much longer and more supplicatory “Confiteor” repeated three times over during the “Missa Tridentina Latina”, one sees how the door has been opened wide to all kinds of errant rationalizations of false charity in the face of sin before Almighty God. The most egregious example of false charity is the very notion of communion in the hand itself --an outgrowth of the “Novus Ordo”-- where a false sense of priestly self-worth pervades the laity, alluring the unordained to take up Christ’s Body and Blood for oneself in Communion just like a priest at the altar. Self pride and a failed sense of sinfulness feed all kinds of other egalitarian liturgical improprieties of exterior demeanor too: casual dress, shorts, t-shirts, unfolded hands, distracted and unprayerful expressions of the face, standing posture instead of kneeling before the Lord, lack of thanksgiving after Mass for the Holy Eucharist in silent prayer, dropped particles of the Sacred Host, everywhere; all because of the very liturgical aberration of communion in the hand itself. Any of these abominations of the Most Holy Presence could, clearly, be venial or mortal sins of disrespect--reckless violations of the First Commandment. All of these sins deprive the Trinity of the adorations He so rightly deserves. 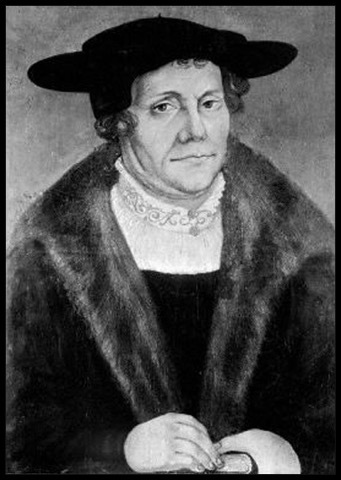 Each and every one of these liturgical aberrations derives from an inflated pride of one’s self-worth and moral equivalency with God and the fallacious notion: ‘I am really worthy for You to enter under my roof, O Lord, because you love me no matter what I do’ --truly a Protestant notion that is now enshrined in the hearts and minds of the vast majority of “Novus Ordo” Catholics; notwithstanding clergy, be it bishops, priests, or deacons. It is this philosophy of false charity that is essential to the survival of Protestant worship and that has now become the very life of the “Novus Ordo” liturgy and Mass since Vatican II. In fact, this false charity of Protestant worship has become the very heart and soul of the “Novus Ordo Missae”, especially with communion in the hand. This false charity not only pervades liberal Protestantism (all Protestantism being liberal vis-a-vis Roman Catholicism) and the “Novus Ordo Missae”, but also consumed the very heart and soul of Judas Iscariot, Christ’s betrayer. 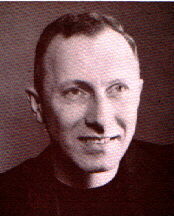 Modern day Protestantism and the Liberal Catholicism of the “Novus Ordo Missae”, just like Judas Iscariot in Christ’s own day, have diminished, downplayed, and degraded the divine and supernatural of Christ's Infinite Presence in this world to the humanistic and mundane, a fact that has had the most deleterious consequences upon personal piety since Vatican II.